Go to original pattern for design DROPS 80-1. 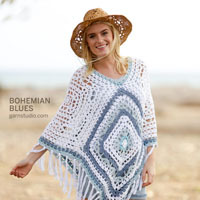 The pullover will be smaller before blocking than shown on the diagram on account of the rib pattern. 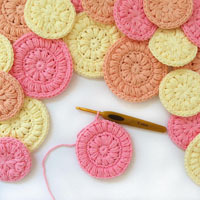 DROPS 7 mm Circular and double-pointed needles, or size needed to obtain correct gauge. 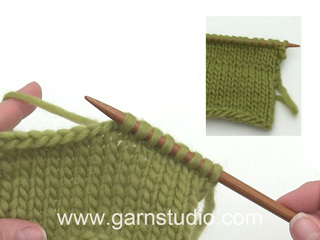 Gauge: 13 sts x 15 rows in stockinette st = 10 x 10 cm. Rib: * K 6, P 4 *, repeat from * - *. Knitting tip: If you wish broader stripes on body than shown in photograph (to match sleeves), knit Body in two pieces (front and back). 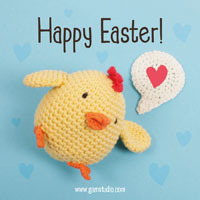 Body: Cast on 100-120-140-160-180 sts on circular needles; join and place a marker and the join. 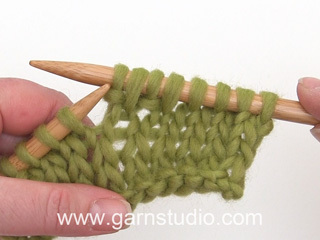 Knit rib over all sts - there will be P 4 at each side. 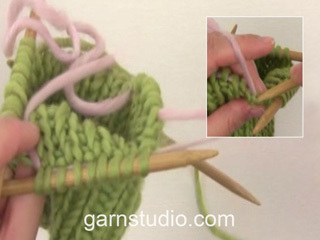 When the piece measures 38-39-40-41-42 cm bind off 4-4-4-6-6 sts at each side for armhole. 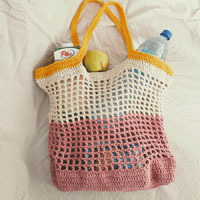 Knit each piece separately. Front: = 46-56-66-74-84 sts. Bind off for armhole at each side every other row: 3 sts 0-0-1-1-1 time, 2 sts 0-1-1-2-3 times and 1 st 0-1-2-3-5 times = 46-50-52-54-56 sts. When the piece measures 51-53-55-57-59 cm put the center 12-14-14-16-16 sts on a st holder for the neck. Then bind off at each neck edge every other row: 2 sts 1 time and 1 st 3 times = 12-13-14-14-15 sts remain on each shoulder. Bind off when the piece measures 58-60-62-64-66 cm. Back: = 46-56-66-74-84 sts. Bind off for armhole as on front = 46-50-52-54-56 sts. When the piece measures 56-58-60-62-64 cm bind off the center 20-22-22-24-24 sts for the neck. On the next row dec 1 st at each neck edge = 12-13-14-14-15 sts remain on each shoulder. Bind off when the piece measures 58-60-62-64-66 cm. 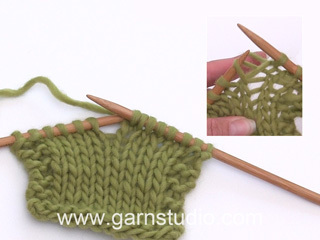 Sleeve: Cast on 30-30-40-40-40 sts on double-pointed needles; join and place a marker at the join. Knit rib - begin and end the rib with P 2 so that the marker is in the center of a P 4 center under sleeves. When the piece measures 10-10-10-12-12 cm inc 1 st at each side of the P 4 with the marker every 4.5-4-4-3.5-3 cm a total of 10 times = 50-50-60-60-60 sts - knit the increased sts in the rib as you go along. When sleeve measures 53-51-48-46-43 cm bind off 2 sts each side of marker and knit flat. Bind off for sleeve cap: 2 sts at each side every other row until the piece measures 58 cm, then bind off 3 sts 1 time at each side. The piece measures approx. 59 cm, bind off the remaining sts. Collar: Pick up approx. 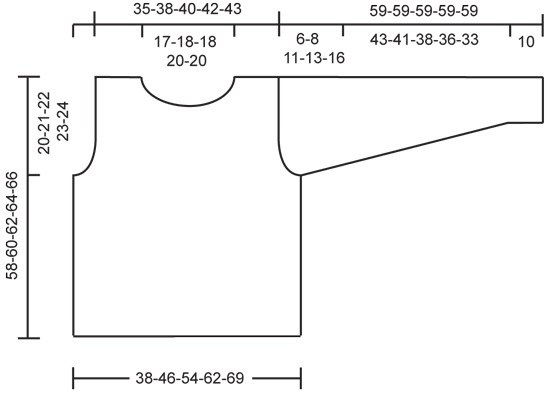 60-80 sts around the neck (divisible by 10 - incl. sts on st holder) on double-pointed needles. K 1 row, increasing to 90-90-100-100-110 sts evenly distributed. Knit rib for approx. 20 cm, then bind off in rib. Sew in sleeves. Hei Lena. Du øker 1 maske på hver side av 4 masker vrang hver gang du øker. De første 4 gangene du øker strikkes de økte maskene vrang videre oppover (det vil derfor bli ganske mange vrangmasker etter hverandre en periode). Det er altså ikke før den 5 gangen du øker at du vil se de 2 nye stripene med vrangmasker - når du begynner å strikke de økte maskene som rettmasker. De 6 siste gangene det økes strikkes de nye maskene som rettmasker, og det vil vokse frem en stripe rettmasker på hver side av stripen du øker rundt. God fornøyelse. Hola Carmen. La mayoría de los patrones para las agujas circulares puedes utilizarlas trabajando con agujas rectas. En este caso cada parte (delantero, espalda, mangas) se trabaja por separado y hay que añadir 1 punto de orillo a cada lado para cada parte para coser al finalizar la labor. Goede morgen, Klopt het dat ik slechts 300 gram wol nodig heb voor dit patroon? Lijkt mij zo weinig. En bij een vervangende draad slechts iets meer dan 200 gram. Graag hoor ik iets van u. Dank u.
Det ska vara: dela maskantalet med 2 + 2 kantmaskor! Hello everybody, my name is Damion, and I'm glad to join your conmunity, and wish to assit as far as possible. Hoi Anneke. Als je kijkt bij de steekverhouding, dan moet je voor 10 x 10 cm = 13 st x 15 nld breien. Wij veranderen niet patronen. Maar wens je om deze trui in panden te breien, dan moet je de panden opdelen in voor- en achterpand. Bijvoorbeeld 50 st per pand in de kleinste maat. Zet daarbij 1 kantst op aan de weerskanten voor de naad. Brei de boordst heen en weer. Pas aan zodat de boordst bij de zijkanten op elkaar passen. Succes. Ik wil heel graag deze trui breien. Een proeflapje met 13 steken levert 10 cm. op. Maar hoeveel naalden moet ik breien voor 10 cm lengte? Ik wil niet rondbreien. Hoe is het telpatroon voor 2 panden en een mouw zonder rond te breien? graag een reactie.